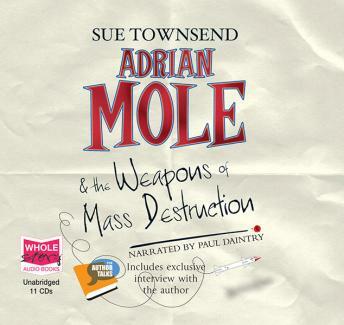 Adrian Mole is thirty-four and three quarters, almost officially middle-aged, when Mr Blair tells Parliament that Weapons of Mass Destruction can be deployed in forty-five minutes and can reach Cyprus. Adrian is worried that he might not get a refund on his holiday. But that's not all that is bothering him. There's his odd girlfriend Marigold who has become distressingly New Age. And his son Glenn who is in Deepcut Barracks. Would Mr Blair have been quite so keen if it had been his son manning a roadblock?